Scheduling surgery or dental work for your pet can be a daunting proposition. Every procedure carries some measure of risk, and sometimes it's tough to think about your loved ones under anesthesia. Here are a few important points to ponder, when considering anesthesia for your pet. Anesthetic complications are very uncommon, and deaths are even more rare. 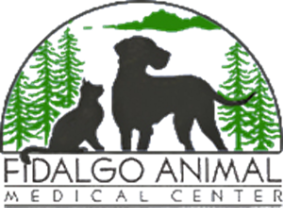 Our well-trained veterinary team will take every reasonable precaution - including having knowledgeable staff, appropriate monitoring procedures, and proper patient evaluation and preparation - to minimize these risks. 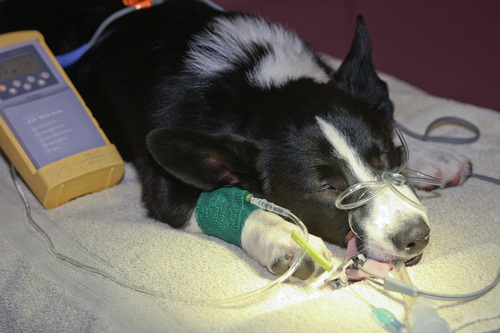 All anesthesia is not the same, and not all veterinary hospitals provide the same level of anesthetic care and monitoring. We take great care to tailor a balanced anesthetic protocol for each pet, which minimizes risk. We use the latest monitoring equipment, including blood pressure, ECG, pulse oximetry, and CO2 measurements, to ensure the safest possible procedure for each patient. Body temperature can decrease rapidly during anesthesia, and cause prolonged recovery - we take great care to provide warming support during a procedure, so each patient wakes up comfortable, and as warm as when they fell asleep. Pain management, both before and after a surgical or dental procedure, is very important as well. We practice preemptive pain management (treating pain before it happens) to decrease pain overall, using local anesthetic blocks, constant rate infusions, pain patches, and injectable pain medications.